See available Anchor Bay Club condos Hallandale. Spacious residences & marina on Intracoastal at 300 Three Islands Blvd feature direct water and city views. Located on the canals of Three Island Anchor Bay Club is a great condo complex in Hallandale Beach. Breathtaking waterfront views all the way to the ocean can be seen from condos in Anchor Bay Club. Please Contact Us or give us a CALL 786-505-4786 if you have a question on Anchor Bay Club condos 300 Three Island Blvd Hallandale. A large complex that offers lots of amenities Anchor Bay Club Condos also features a marina, which a lot of places in the area do not have. Follow the canals all the way to the Intracoastal and open ocean waters. Condos for sale in Anchor Bay Club offer spacious residences, luxury amenities, marina and great views. Minutes from restaurants, shops, and cafe one could walk for 10 min for a cup of coffee, everything just steps away from Anchor Bay Club Condos. Anchor Bay Club condos a Hallandale Beach boater’s paradise, situated on the waterfront canals and easy access to Intracoastal at 300 Three Islands Blvd Hallandale Florida. Unobstructed views of city and ocean and all around, the complex is located at the point of the island offers some of the unique expansive views of Ocean, Intracoastal, and city. Full-service Anchor Bay Marina is located next to the residences. Luxury Anchor Bay Club condos complex is a hidden secret away from the rest of the crowd. Enjoy the 5-star amenities offered by condos for sale in Anchor Bay Club such as fitness center, stunning marble lobby. Full-service marina, tennis courts, deeded parking and full service all around building Anchor Bay Club condos a desirable place to live. Built in 1987, condos for sale in Anchor Bay Club located at 300 Three Islands Blvd offer open floor plans with modern kitchen, in-unit washer and dryer, modern bathroom and spacious units with large balconies. A true resort style living in Anchor Bay Club Hallandale is waiting for you. Minutes from Fort Lauderdale, Miami Airport and cruise ports getting to and from 300 Three Islands Blvd Anchor Bay Club condominium is a snap. 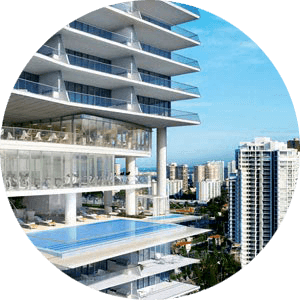 With such a close proximity to Aventura Mall, Saw Grass Mall, Shops of Bal Harbour and let’s not forget some of the best beaches in the area Anchor Bay Club condos are in the center of it all. 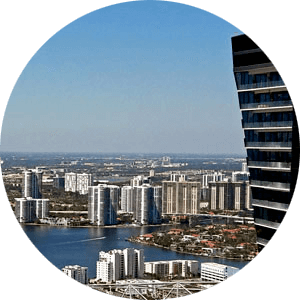 If you are looking for a condo or home for sale in Hallandale Beach, Anchor Bay Club condos are a must view, give us a call 786-505-4786 and let us show you some of the benefits of living in the area at 300 Three Islands Blvd Hallandale.